No matter our political or cultural differences when it comes to food, there’s one trend that is clear: across the globe, we are making the choice to eat more meat. While promoting the consumption of veggie burgers over animal-based protein to reduce environmental impacts is important, the bottom line is that we need to make beef, pork, and poultry production more sustainable than it is now. This isn’t an easy task, but there’s some low-hanging fruit: 40 million acres of U.S. land is used to grow corn for animal feed – and if we improve the way we grow that corn, we’ll reduce emissions, protect water quality, improve soil health and increase drought resilience. 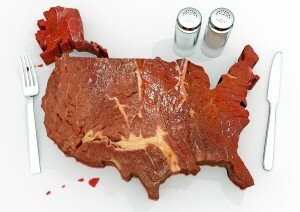 The global demand for meat is increasing nearly 2 percent a year, and according to the United Nations, this demand isn’t slowing down anytime soon. Meat production starts with and relies upon corn production. The world’s largest economies have two things in common – the majority of corn grown is used for animal feed. Nearly 40 percent of U.S. corn – covering 40 million acres – goes towards feed grains, and in China this figure is 70 percent. In 2010, 765 million metric tons (MMT) of corn were harvested on 378 million acres across the globe – that’s the equivalent to the size of 10 Iowas. In 2012, corn surpassed rice to become China’s #1 crop. By 2025, corn will be the crop with greatest production globally. 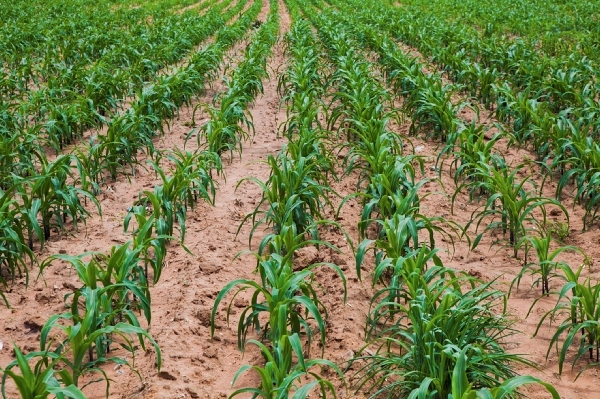 Fertilizer is needed to grow this corn, but up to half of what is applied leaves the field. This leads to water contamination and greenhouse gas emissions in the form of nitrous oxide, which is 300 times more powerful than carbon dioxide. Fortunately, fertilizer efficiency measures can reduce these impacts and help growers to reduce their costs while maintaining yields. No matter what corn turns into as an end product, we have a big opportunity to improve the way corn is grown. But this is especially true when it comes to meat production, given the scale of feed grain crops across the U.S.
For meat companies, fertilizer efficiency for feed grains is a way to reduce emissions immediately and with existing technologies. And farmers growing animal feed have an important role to play in reducing the climate and water impacts of animal protein. Effort’s such as Smithfield’s MBGro program, which works directly with farmers in North Carolina to help them improve fertilizer efficiency, are proving that feed grain efficiency helps farmers, profits, and the environment. This effort can be a replicated across other protein companies to make changes at-scale. We can’t bring meat sustainability to scale with just one company or just one grain. 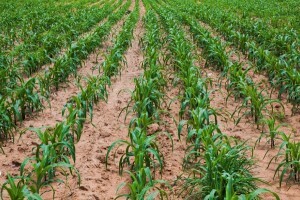 But if we can achieve fertilizer-efficiency in the feed corn grown for beef, poultry and pork – it’s a really good start. This entry was posted in Climate Resilience, ecosystems, fertilizer, Partnerships, Supply Chain, Sustainable Agriculture and tagged agriculture, China, climate change, corn, farmers, farms, feed grain, food production, food security, GHG mitigation, meat, meat production, North Carolina, nutrient efficiency, Smithfield Foods, soil health, sustainability. Bookmark the permalink. Both comments and trackbacks are currently closed.